You'll be amazed at our wide selection of healthy brownies at Linda's Diet Delites! If you love brownies but are on a diet, you no longer have to feel bad about eating them, thanks to Linda's Diet Delites' wide range of healthy brownies! 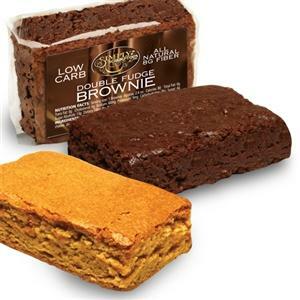 We stock a fresh selection of low carb, sugar free, and low fat healthy brownies to satisfy the chocoholic in you. Take a look!